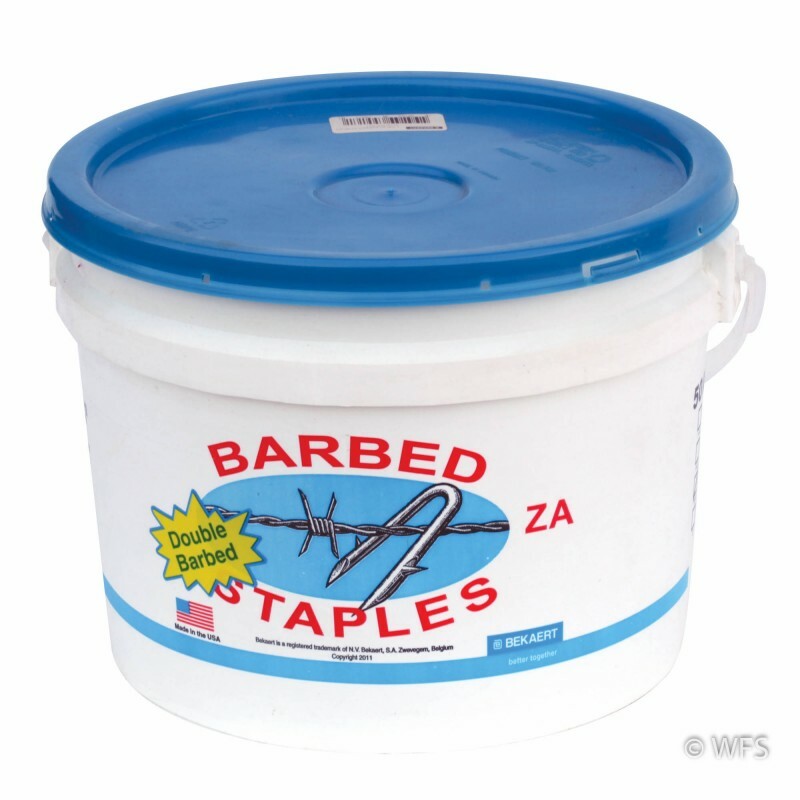 Heavy duty 1.75" ZA coated 8 gauge double barbed staples for use with non-insulated Class 3 galvanized or ZA high-tensile wire. Heavy duty 1.75" ZA coated 8 gauge double barbed staples for use with non-insulated Class 3 galvanized or ZA high-tensile wire. Approximately 50 staples per pound. Available in 50# tubs, 8# pails, or by the pound.